3 March 2015. An new piece of Street Art in central Brighton has been partially defaced. Petrusco’s image of a naked hippy woman, glowing with light, offering a flower to a dagger wielding soot-black man in a stormtrooper helmet, has had the female entity removed by ripping of his paper-based, shop-front-high artwork. The piece was installed in February when this photo was taken. Such a shame, it is a striking piece of work. 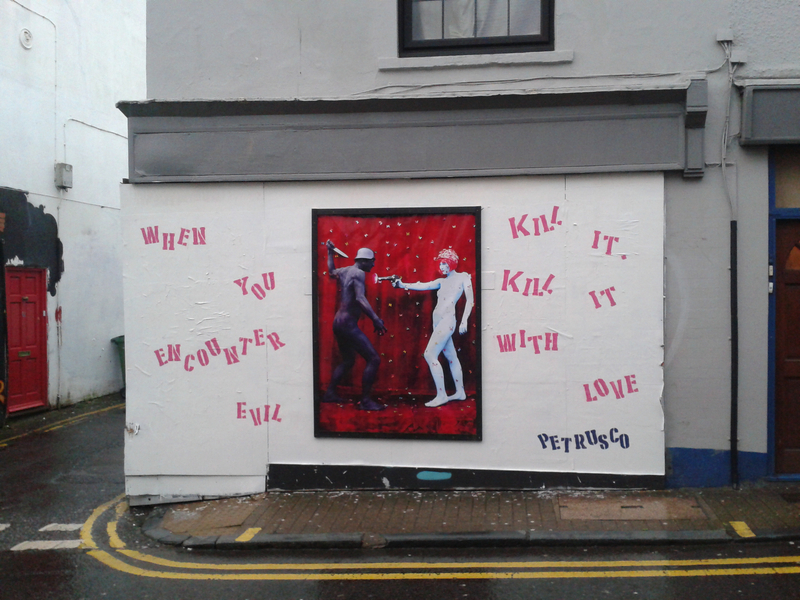 This entry was posted on March 2, 2015 by braveadmin in Street Art and tagged brighton, kill it with love, petrusco, street art.